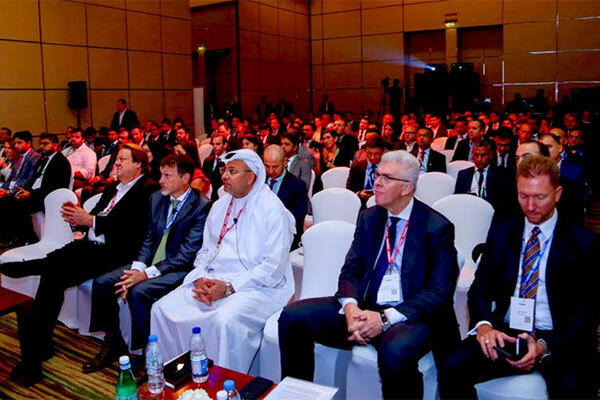 Financial technology (fintech) heavyweights will return to Dubai on October 30 on board the Queen Elizabeth 2 at Port Rashid for the third annual Fintech Summit, organised by leading regional deal facilitation company Naseba. With the Middle East’s financial landscape rapidly evolving owing to emerging and disruptive technologies and drive towards digitalization, this year’s conference will once again provide a unified platform for banking, financial services and insurance (BFSI) decision makers to share the cutting-edge developments and innovations in the industry. Held under the banner theme of ‘Enterprise Grade. Real World. Now’ the Fintech Summit will bring together an influential line-up of high-profile speakers alongside leading solutions providers. Sandeep Chauhan, EVP, global head, Operations and Technology, Mashreq Bank, said, “Fintech is gaining momentum across the region, with governments and private sector companies adopting next generation technology in their eagerness to support sustainable economic development and establish a competitive advantage. “The UAE, and Dubai in particular, is accelerating investment and implementation in support of the National Innovation Strategy set out by His Highness Sheikh Mohammed Bin Rashid Al Maktoum, Vice President and Prime Minister of the UAE and Ruler of Dubai, who has expressed his vision to make the UAE a global leader in innovation. Against this background, today’s BFSI C-suite need to be ahead of the curve when it comes to implementation”. According to industry reports 82 per cent of financial services companies plan to increase fintech partnerships in the coming three to five years, with an expectation of 20 per cent ROI on their innovation projects. The global banking industry will spend $519 billion on technology this year, an increase of 4.1 per cent on 2017 spend, with legacy system updates and next-generation back office solutions leading investment. Recent research by Gartner put a figure of $155 billion on Mena region IT spending in 2018, with banking and securities firms leading spending growth in the last 12 months (+3.6 per cent), followed by insurance (+2.9 per cent); and making significant investment into analytics, blockchain, artificial intelligence and software applications.